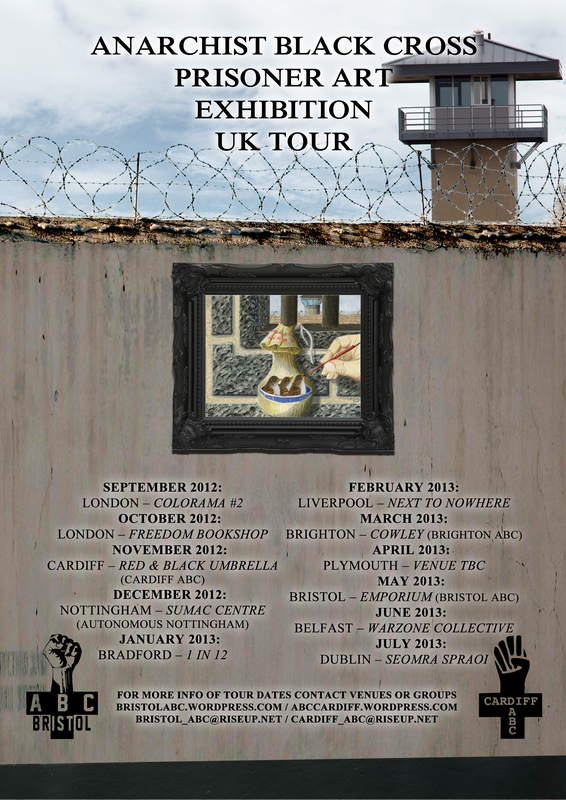 The Close Supervision Centre (CSC) system is the English version of American supermax prison conditions, indefinite solitary confinement within the most oppressive and brutal environment found in this country, which can appropriately be called torture camps. Psychological warfare is used upon its victims on a constant basis, with frequent physical attacks supplementing the arbitrary punishment. As only around 50 prisoners fall victim to the CSC at any one time its existence is largely unknown even amongst the general prison population, so it is not surprising that the wider public are so poorly informed that almost no-one protests that taxes are being spent to torment vulnerable captives who are also British citizens. Her Majesty’s Inspectorate of prisons (HMIP) is tasked with the role of reporting on all places of detention within the country, with a decreasing level of funding for the prison system whilst prisoner numbers continue to rise it is inevitable that more and more failings and inadequacies will be identified by them. Considering the CSC is the violation of international and European law, as well as being morally reprehensible for both its design and implementation, you would expect HMIP to dedicate its times exposing the secretive system with the goal of achieving its abolition but at least securing desperately needed reforms. When the entire prison system can be seen to be declining in the level of treatment it provides, it is obvious that those already at the harsh end will suffer the most. HMIP chooses to pretend that the CSC does not exist rather than tackle the deplorable, less attention is paid to the worst part of the prison system than any other which is simply inexcusable. Since I was first allocated to the CSC in March 2010, HMIP have only once ‘inspected’ the CSC. Although they were provided with extensive detail of the abuses which were taking place, they chose to omit all of the most serious and gloss over those that actually made it into the report. HMIP effectively endorsed the torture regime which had the obvious consequence of life on the CSC becoming more anguished, and have not even bothered to perform their mandatory follow-up ‘inspection’ to see the effects of their actions. The suicide of Joanne Latham (AKA Eddie Brown, AKA Edward Latham) on the CSC has been one of the direct results of the continuing deterioration, but also of the structure of the CSC itself which causes severe mental illness and exacerbates preexisting medical issues amongst its residents so much so that around 50% end up damaged to the extent it becomes necessary for them to be removed from prison to one of the high secure mental health hospitals (Broadmoor, Brampton, Ashworth). I sent a detailed complaint to HMIP after reading their cover-up report (http://solitaryconfinement.org/uploads/HMCIP_CSC_Report_2015.pdf) but received nothing more than a fob off in reply evidencing that their substandard work was intentional. Although this was done as a parting gesture from the departing Chief Inspector presumably to secure another governmental employment, the incumbent Chief Inspector along with the rest of his office have done absolutely nothing about it. 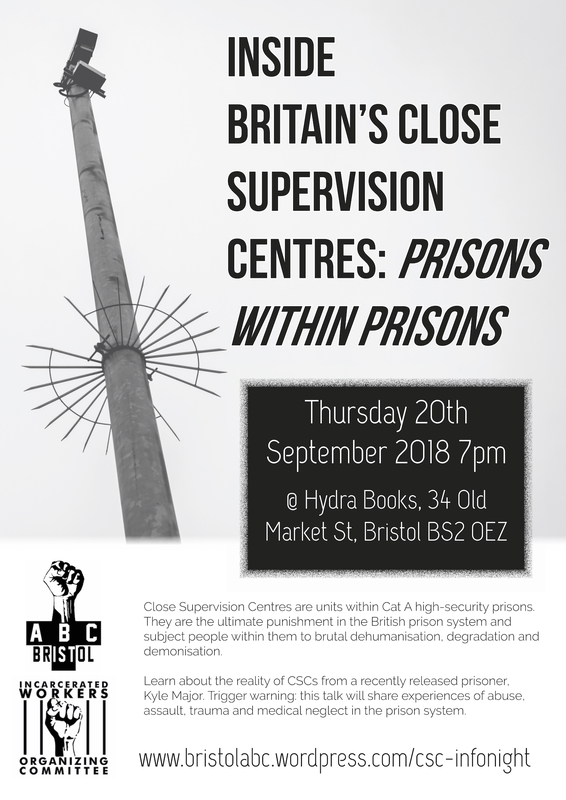 A secret world exists within the high security prison estate in England, known as the Close Supervision Centre (CSC) system. The dehumanisation of CSC prisoners begins at a very early stage, in the official justification for the creation of the CSC system, which focuses on the need to contain a new breed of unmanageable and unpredictable risks. It continues with the creation of classificatory categories of ‘dangerousness’ which objectify prisoners and make more of the category and less of the human in them, and it is reinforced by the tightly controlled and highly regulated routines.In addition to isolation and extremely restricted movements, prisoners’ in-cell belongings are carefully regulated and subjected to relentless scrutiny and inspection. Prisoners remain in CSC units for years, decades even, made frustrated, angry and bored by their experiences with few avenues to vent their anger and with almost no opportunities to advance through the system. All perceived acts of disobedience or non-compliance by CSC prisoners, even of the most petty kind, are responded to brutally by gangs of prison officers clad in full riot gear who show no mercy when demonstrating their authority and power, sanctioned by Prison Service management at the highest levels. Rather than controlling violence, as it officially aims to do, this hyper-controlled environment breeds it.Having now spent six years subject to the unofficial punishment of allocation to the CSC myself, it is clear that without real pressure to force the required change nothing but more negative and oppressive measures will be added. Please lend your support for the abolition of the CSC system by attending the protest demonstration: 21 July between 12.30pm and 2.30pm outside the offices of the Prison Ombudsman and Independent Monitoring Board, Rose Court, 2 Southwark Bridge, London SE1 9HS.